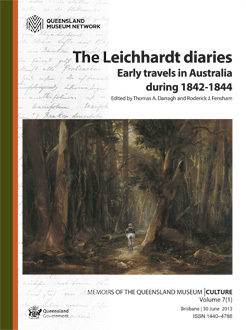 Memoirs of the Queensland Museum - Nature is publishing first online with a print version issued once a year. Volume 61 is our latest volume open for submissions. This process allows the museum to streamline our scientific publication process and utilise the latest standards for publishing. Everything we have published in print is also available online, apart from a few of our Culture series, which have a delayed release for some editions (details below). Here you can find our most recent volume, 60 back to volume 48 for Memoirs of the Queensland Museum | Nature (ISSN 0079-8835) and back to the first volume for Memoirs of the Queensland Museum | Culture (ISSN 1440-4788), in PDF format. Earlier issues have been made available online through a collaborative project with the Museum of Victoria at their Biodiversity Heritage Library. Please note that as this website is maintained by a third party any issues with viewing the files should be directed to them. Searches for contents and abstracts can be made through our search engine on the Memoirs home page.